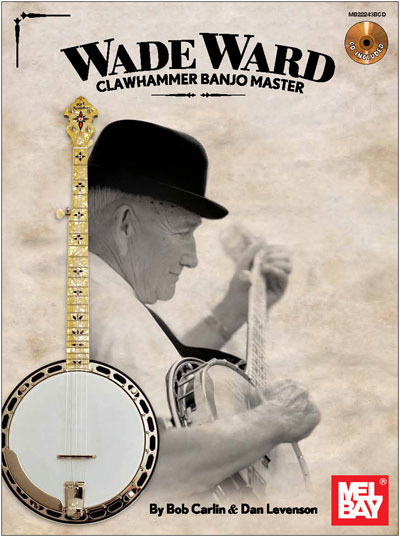 "Wade Ward Clawhammer Banjo Master is a collection of clawhammer banjo tablature as played by Wade Ward, with modern interpretations by Bob Carlin and Dan Levenson. This book is the second in a series of transcriptions of tunes from the old masters--in this case, Wade Ward--who gave definition to our style of old time clawhammer banjo playing. The repertoire, presented in tablature, is intended to be a starting point for your journey through the old time music world. As such, each piece is presented in multiple arrangements, but on the page and on the accompanying audio CD. The recordings are for the most part played at a learning tempo and are close to the written notation but not exact in all cases."